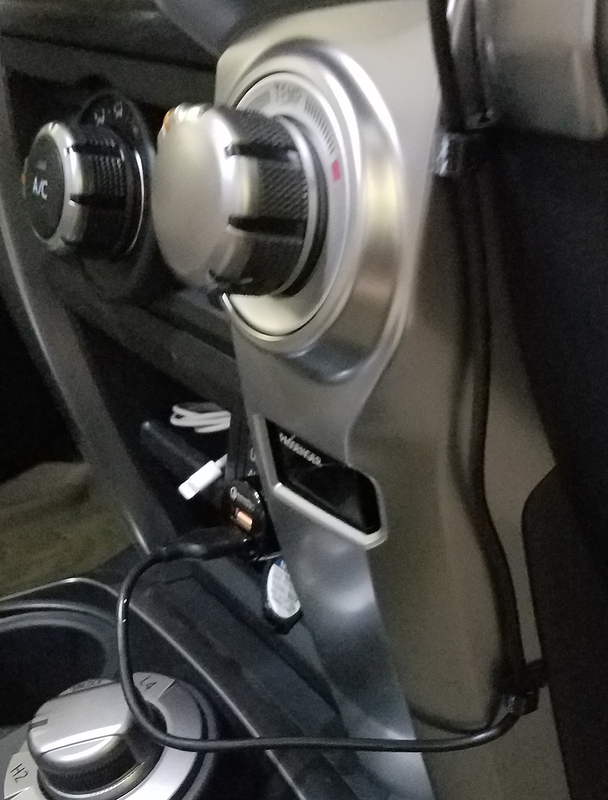 I like the convenience of a charger for my phone in my car or by my desk at the office. The constant plugging and unplugging a micro-usb cord is a bit harsh though, a least from a first world problem perspective. 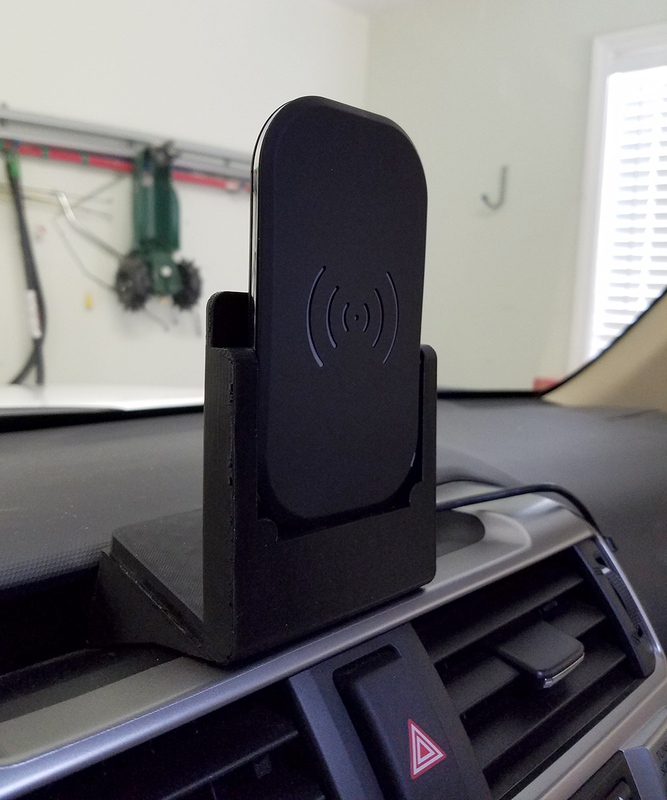 I ran across a post on the XDA-Developers forum that described modding a Wireless Charger from Choetech with magnets and creating a car mount. 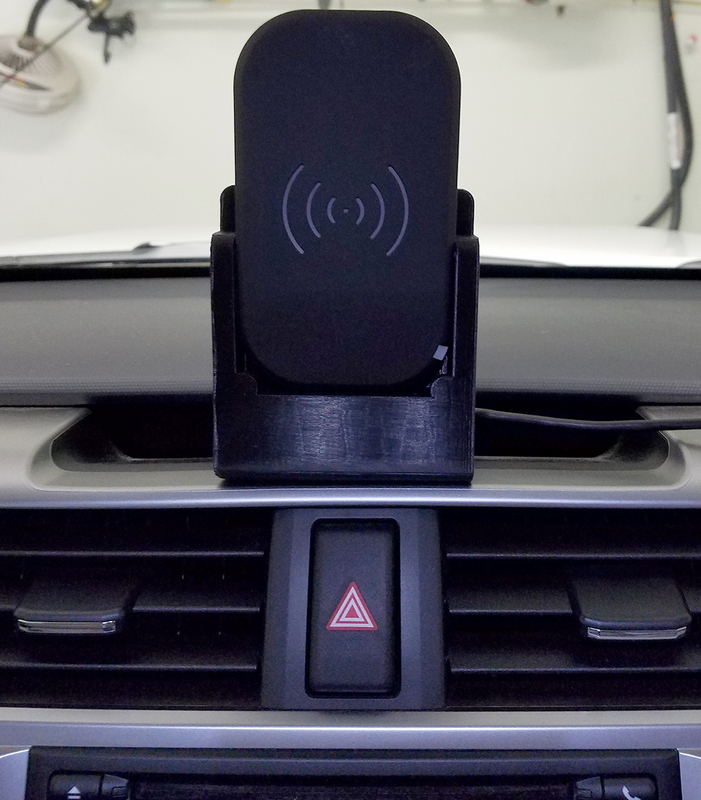 Seeing that post inspired me to hatch a plan to meld 3D printing, magnets and a dash of hacker ethos to build my ultimate phone dock for both the car and office. How would you build it? Read on. The first thing we need to do is source a few parts. For the wireless charger, I like the 3 Coils Fast Charging Wireless Charger from Choetech. Three coils means the sweet spot for the phone is large and it does fast charging really well. For the car, I’ll need a reliable plugin with good power delivery. I am using the Aukey Car Charger with Dual Quick Charge 3.0 Ports. I’ve also used the Anker 36W Dual USB Car Charger successfully. 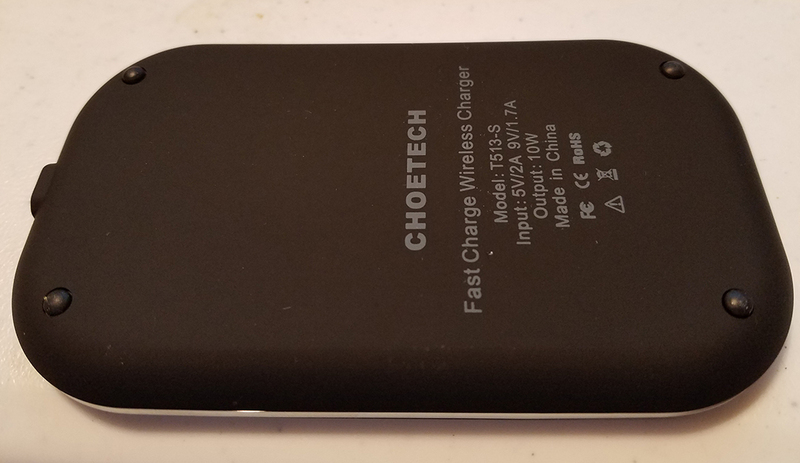 For the office, I’ll need a good wall wart to power the Choetech 3 Coil Wireless charger. The Quick Charge 3.0 Aukey 2-Port USB Wall Charger gives me the ability to charge two of the Choetech devices from a single plug. Now we need some thin and small magnets. 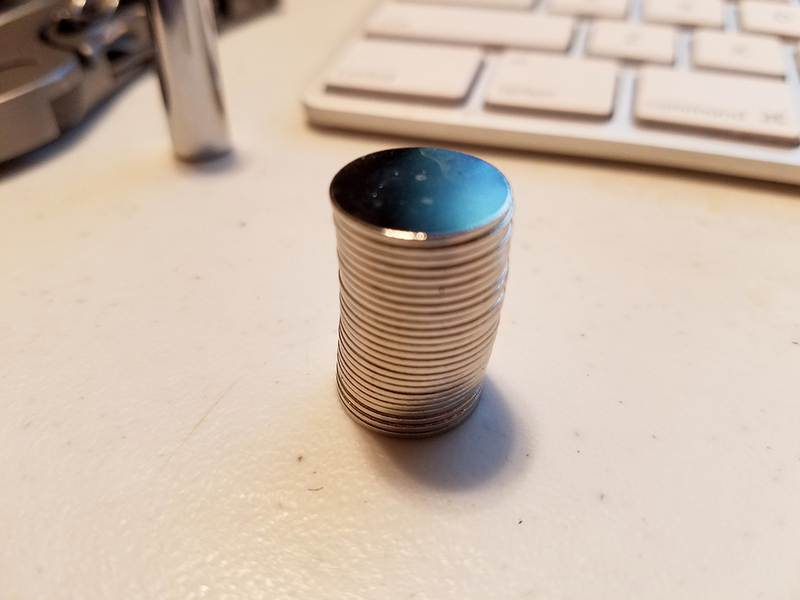 We can stack them together if we need more “pull” so let’s buy a bunch of 15 x 1mm N52 Strong Disc Rare Earth Neodymium Magnets. eBay is about the cheapest source I could find. 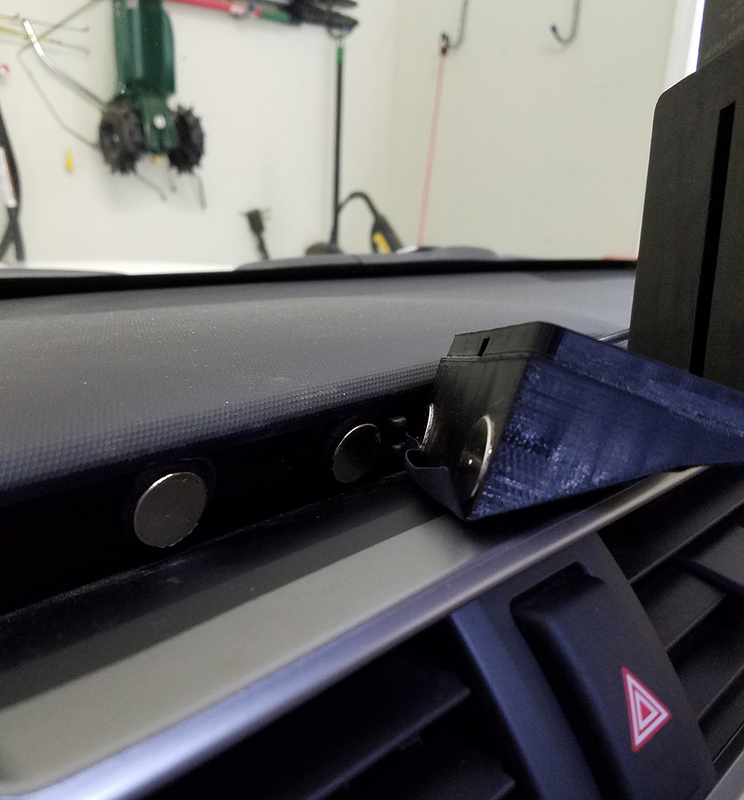 Next we will need some larger magnets for the car mount. I also wanted some Sugru to mount the charger on my wall in the office and the magnets in the car. Conveniently, Sugru has a Sugru Magnet Kit with very strong magnets and enough Sugru to do the job. So a few more odds and ends and we are ready. We’ll need some glue for the magnets. I had some Loctite hanging around but anything with good hold will work. I also needed a case for my phone to make the mount work. The case can’t be super tight but needs to be thin enough for the wireless charger to work. I used a bumper case from Spigen. Now it is build time. Before you begin building this…you are at risk of breaking your phone, your charger, the power in your house and potentially altering the space time continuum. I would suggest at this point you wrap yourself in tin foil and hide in the closet until this next part is over. You have been warned. Seriously, some phones don’t like magnets and you might experience odd behavior like the NFS icon coming on or auto screen brightness not working. 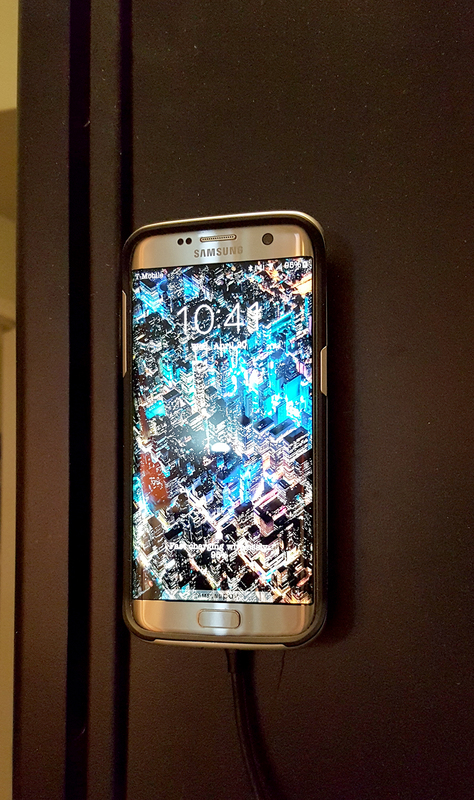 Be smart and check how your phone reacts with magnets nearby. If something is odd, don’t put a magnet near that odd thing. Good life advice. Now it is build time really. 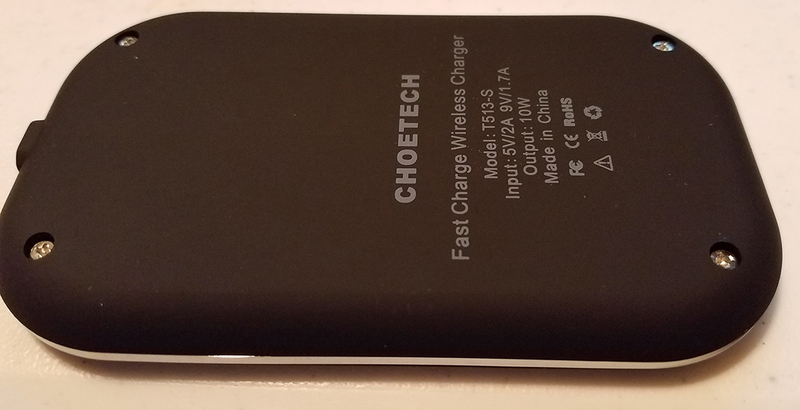 Unpack the wireless charger, plug it in and test it with your phone. 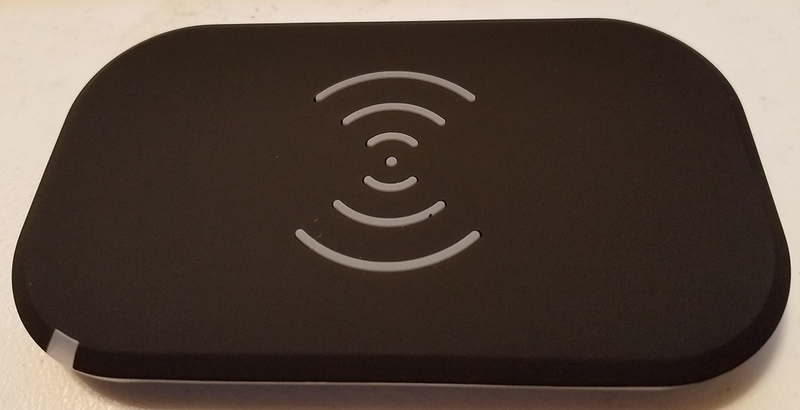 Make sure your case is on the phone to test thickness of the case and the ability of the wireless charger to charge through the case. Also note the relative position of the phone and case on the charger. 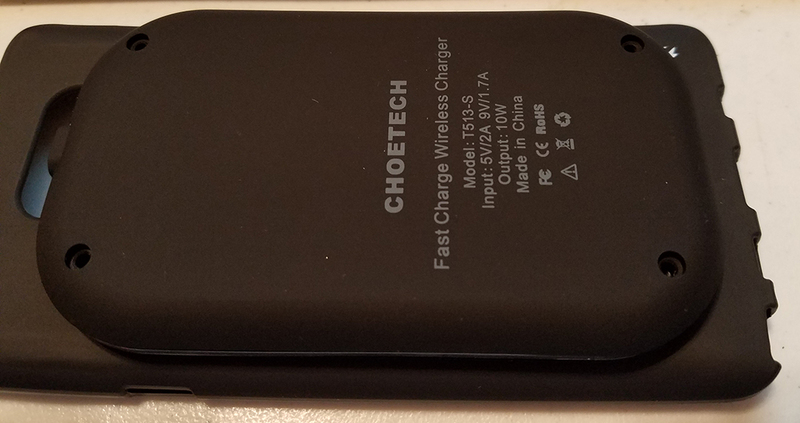 You don’t need to be 100% centered on this wireless charger because of the three coil design but a relatively centered position is best. Keep in mind that the magnet placement will be in the four corners, as you will see below, of the charger. Unplug the charger and turn it over so we can remove the rubber feet on the bottom. They should peel right off with a little pulling. 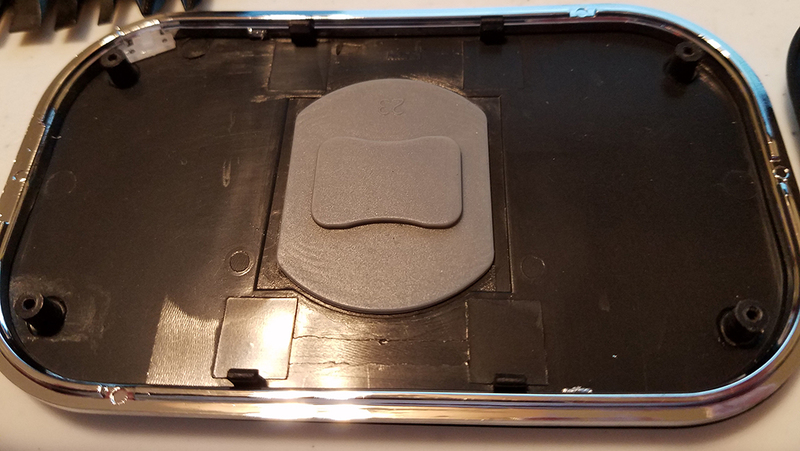 Under those rubber feet are the screws we need to remove to separate the wireless charger case. Once the screws are out, we can separate the two halves of the case. 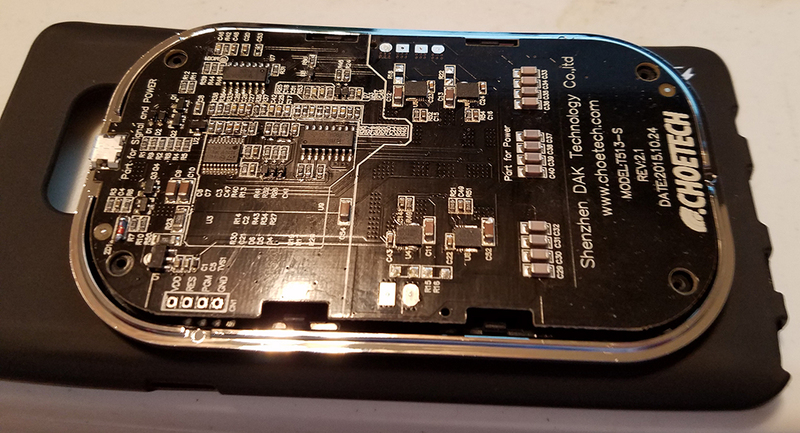 Inside you can see the placement of the wireless charger and the flatter, roomier areas right beside the screw holes on the wireless charging board. 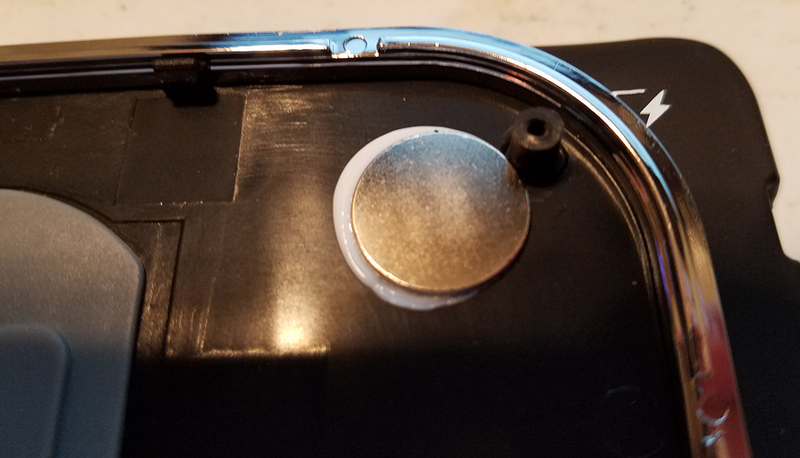 On the top cover of the wireless charging case you can see a perfect flat area to glue the magnets right beside the screw hole posts. One word of caution, be careful not to lose the LED diffusion lens (highlighted in the picture below) because it is relatively hard to put back in correctly. Now would be a good time to pull out your magnets and separate them into individual units. The magnets are fragile so side side removal is ok but direct pressure to the flat side of the magnet may cause it to crack. I lost a few magnets due to dropping and cracking. Position the magnets beside the screw hole posts on the wireless case top cover. Once you get the positioning right, you can apply the glue and set the case aside until the glue begins to become sticky. 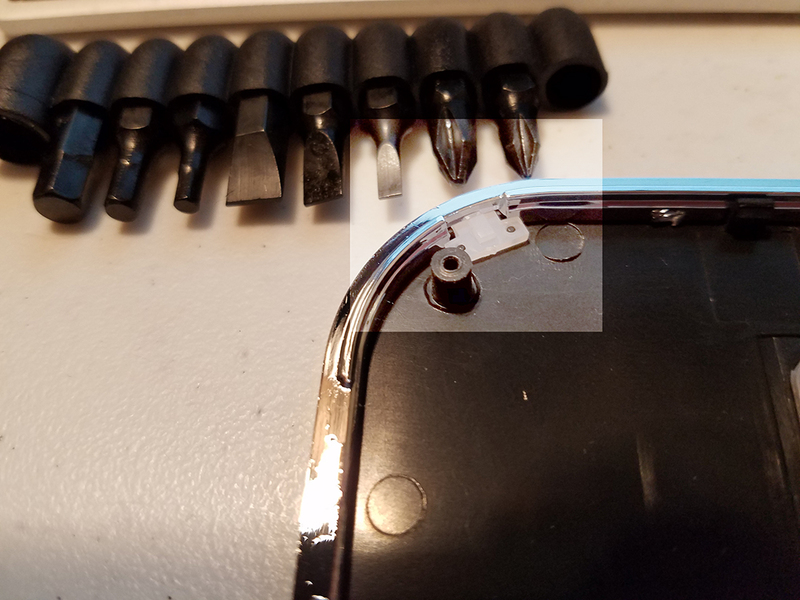 Position and glue the magnets on the inside of your phone case. 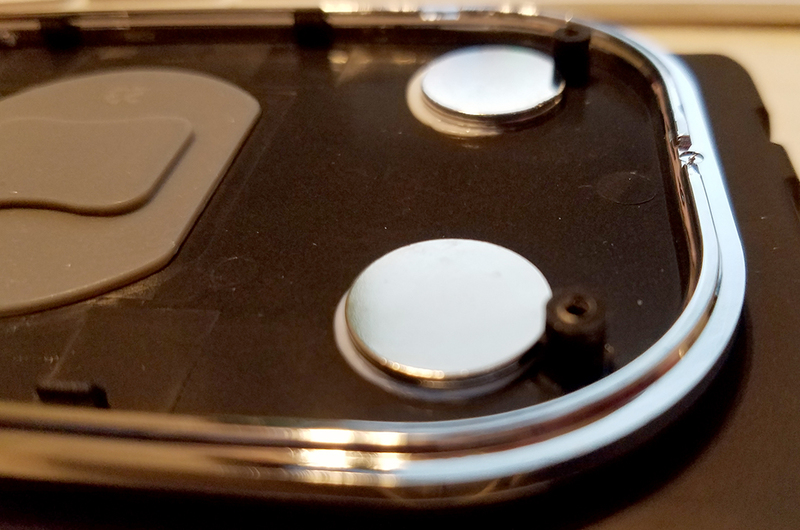 It is helpful if you let the glued magnets on the inside of the wireless charger case dry a bit and then rest your phone case on the outside of the wireless charger case to position the magnets and the case. 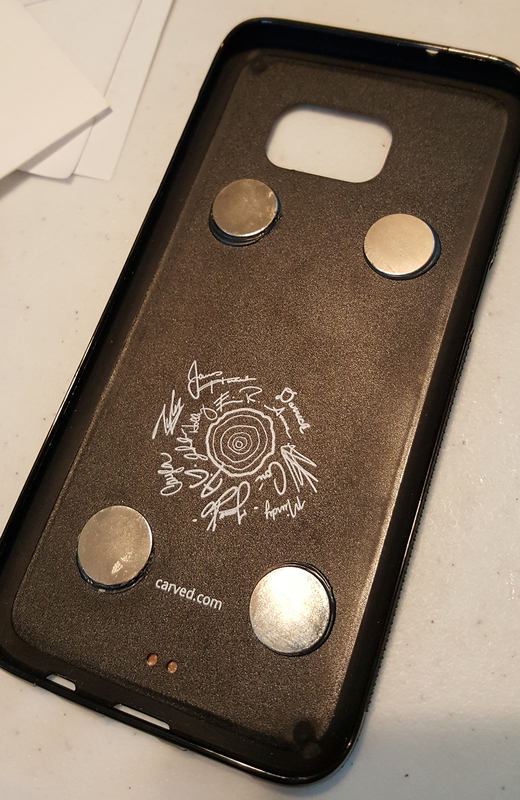 The magnetic bond between the phone case magnets and the wireless charger case magnets will hold them in place while the glue dries. Depending on the glue you select, it could take ten minutes to 24 hours to fully set. 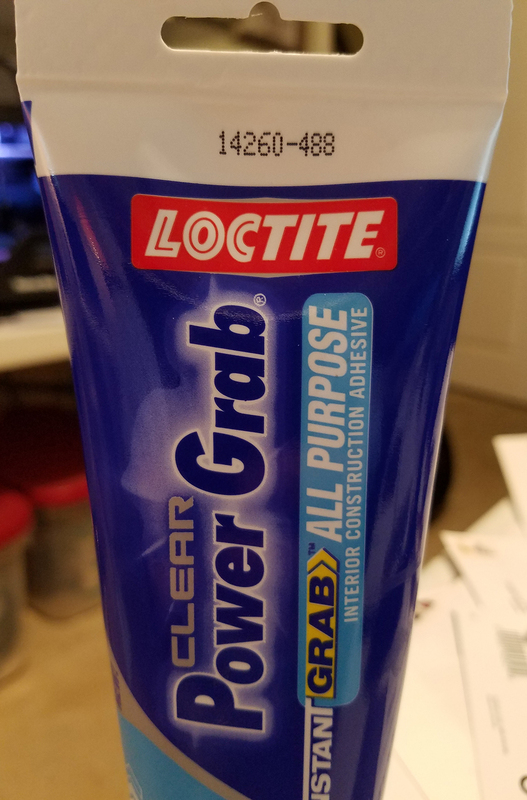 Loctite is sticky enough after ten minutes to do this step. 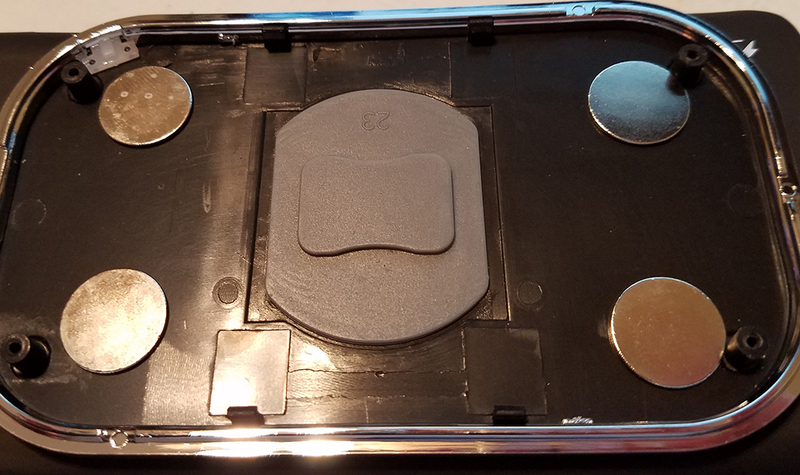 Now that your phone case and wireless charger case magnets are in place, it is time to add a few more magnets to the wireless charger case to increase the magnetic field strength. I use three of the 15 x 1mm N52 Strong Disc Rare Earth Neodymium Magnets beside each screw hole post. This has proven to be very effective in keeping the phone in place, especially in the car on rough roads. I have not had the phone fall or slide from the charger despite some very rough roads. Now it is time to re-assemble the wireless charger case. 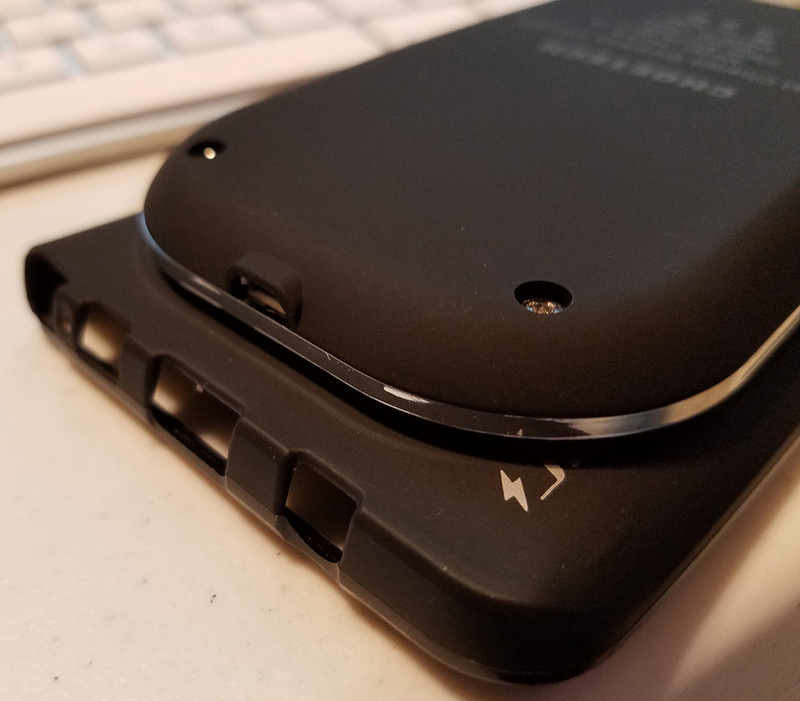 First put the wireless charger board in position on the top of the wireless charger case. Then re-attach the bottom of the wireless charger case, snapping it into position. Put the screws back in and tighten them down. At this point you are effectively done with the wireless charger and magnetic mounts. Plug it in and test with your phone. Give it a few hours to dry or start thinking of creative places to mount it. 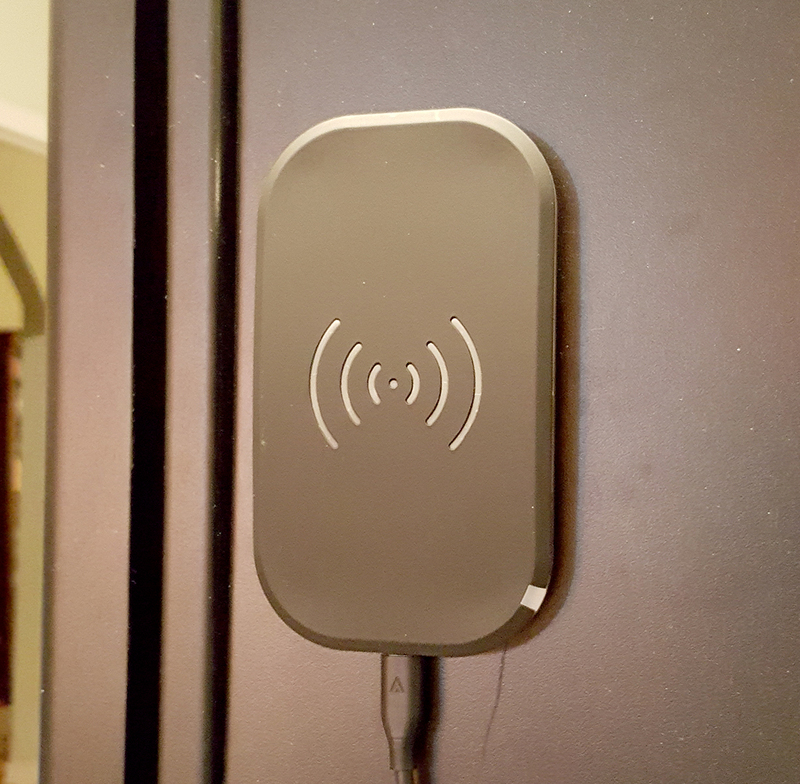 For example, I spread a thin layer of Sugru on the back of the wireless phone charger and stuck it to the wall right behind my computer in my office. 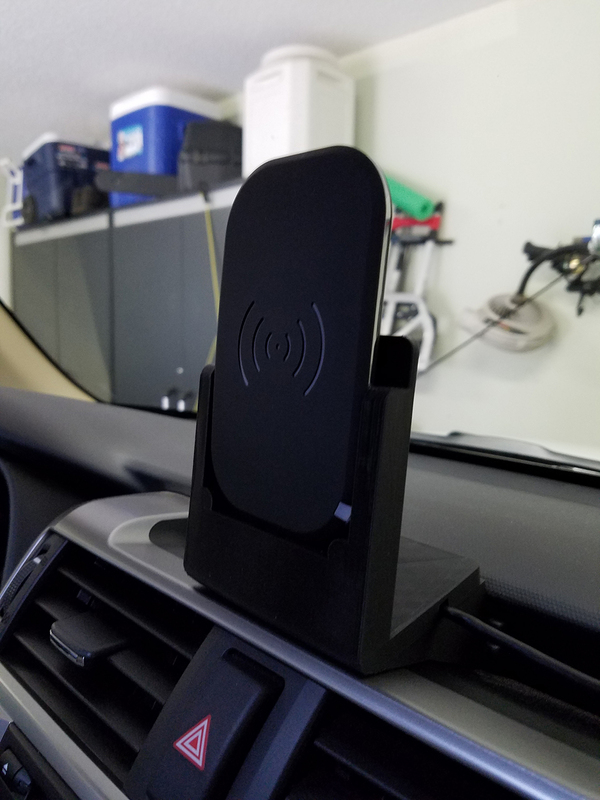 Another fun idea was to create the ultimate in car mount, so I modeled a dock to hold the wireless charger and printed it on my 3D printer. 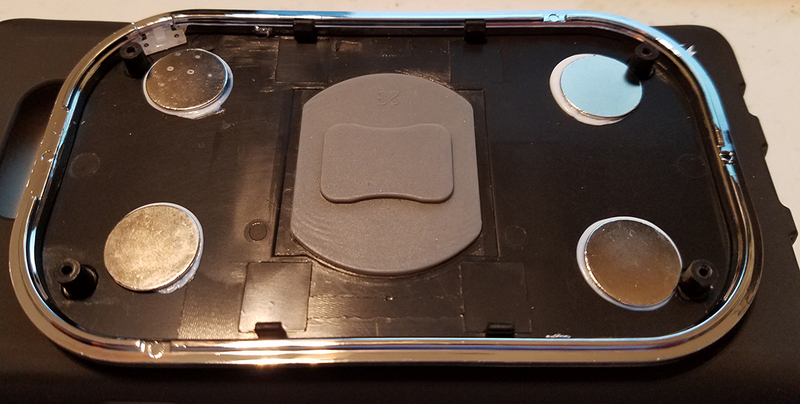 This is where I used my Sugru magnetic kit and created a custom dash insert to hold two of the magnets with the kit. 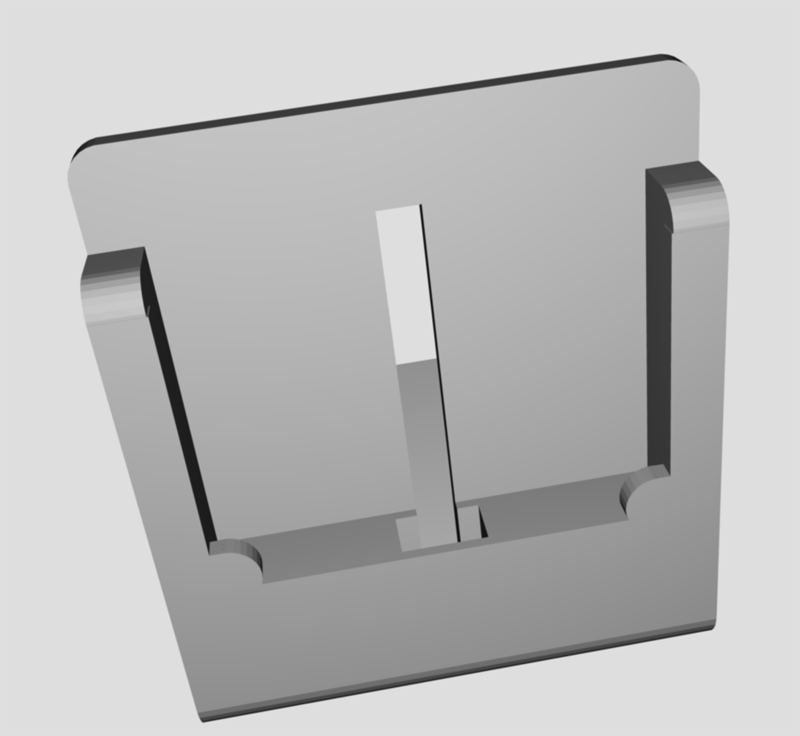 I created the dash insert with two small round holes the size of the magnets in the kit. Once printed, I filled the holes with a very thin layer of Sugru and pushed the magnets into the space. 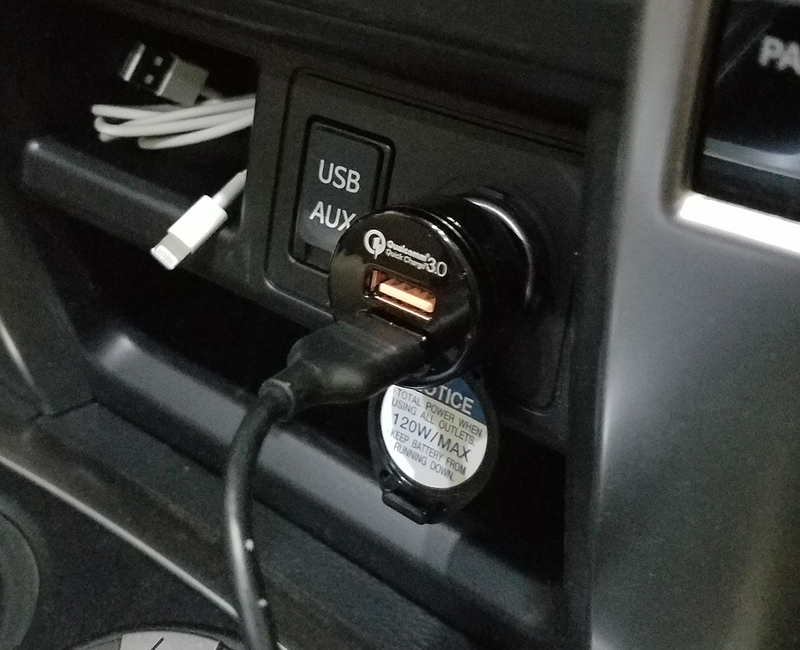 Now I had one half of a magnetic mount to connect to my car. It’s a removable dash insert. I then printed the holder for the wireless phone charger and glued the dash insert to the holder for the wireless phone charger. 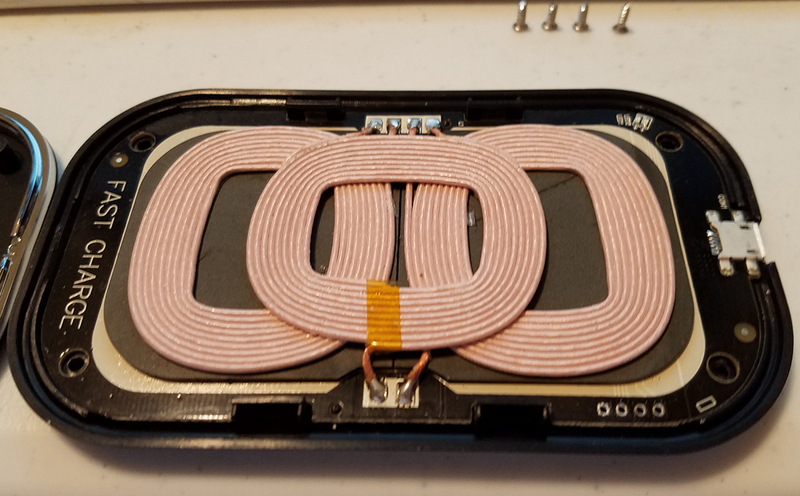 The holder for the wireless phone charger has an insert for the cable that will run to the 12v charger in the car. Pictures of that integration are below. Next up, I used the Sugru again to mount two other magnets from the Sugru magnetic kit to the actual car dash. 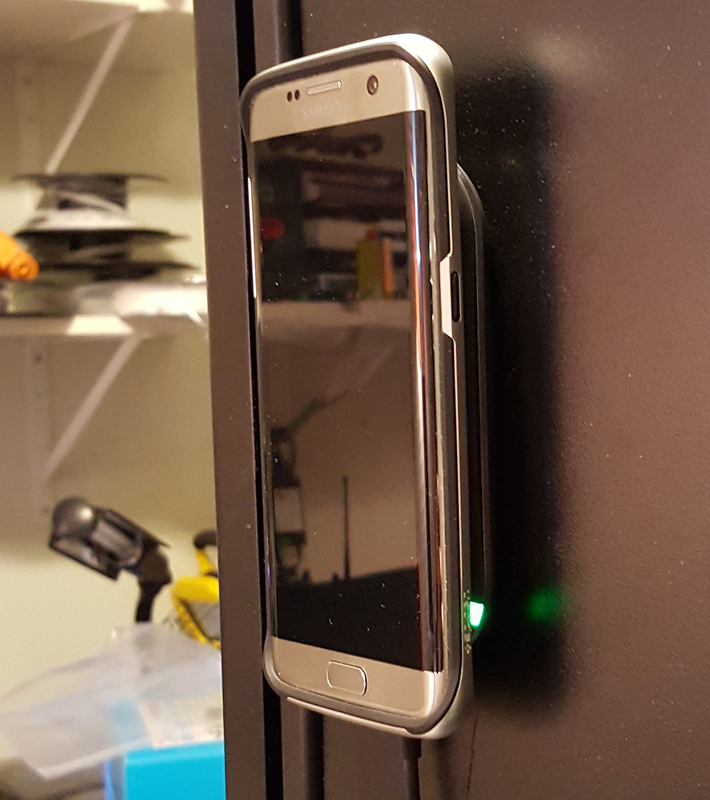 Now my dock is held in place magnetically and can hold my phone in place on the wireless magnetic charger. A few printed cable routing clips held in place with Sugru. Power it up and we are ready to roll. So that’s it. A few parts and I’ve got wireless charging power available to my in my office and car. 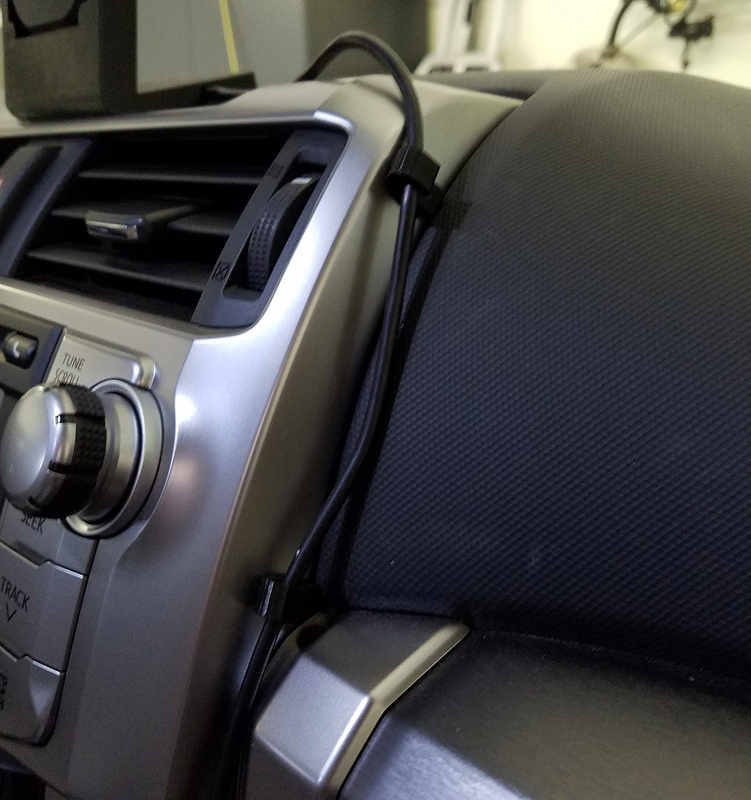 If you want the files to print the Toyota 4Runner dashboard integration pieces, check out my post on Thingiverse for the .stl files and the OpenSCAD files. Do you fancy making me one of these? Whats your price? I want one too for my car but won’t put it like you did this is exactly what I was looking for!!! That’s a pretty clever car charging dock. 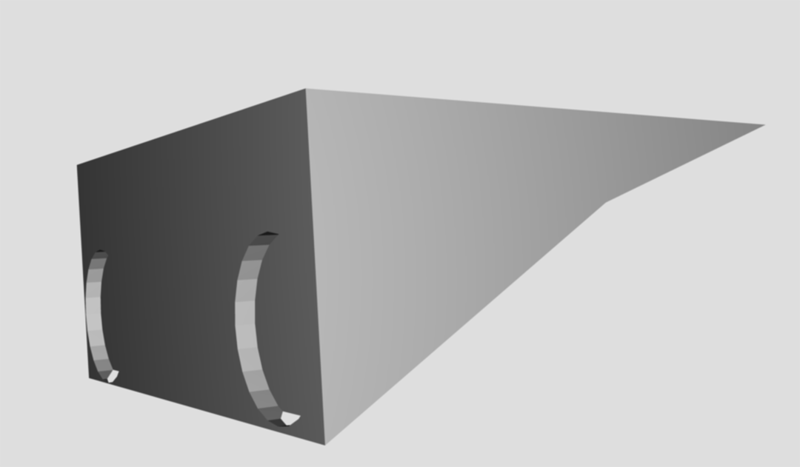 I downloaded the 3D files as well and searching for someone to print it. Hopefully mine will look as good as yours.